It’s always exciting when you find a new property that you didn’t know about in your hometown. I almost didn’t even want to let this secret out! 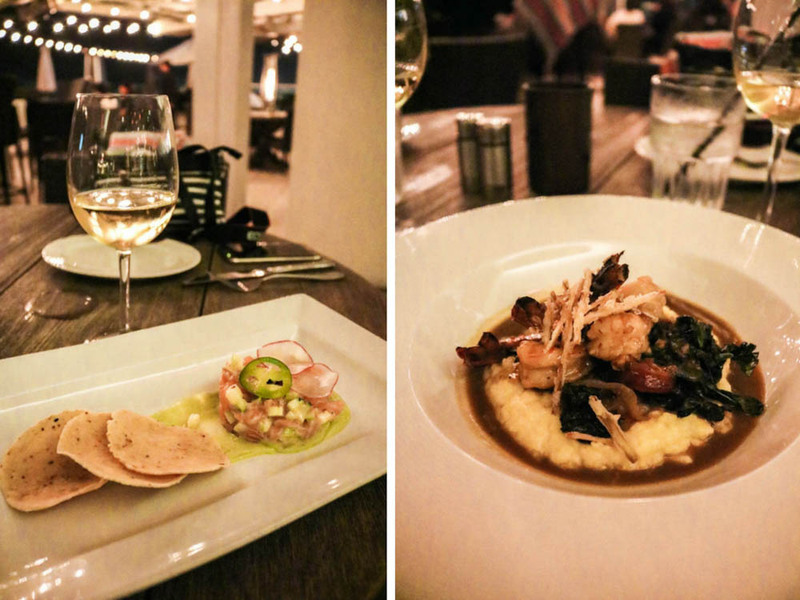 Last month I headed to San Diego’s hidden gem, Pier South Resort. 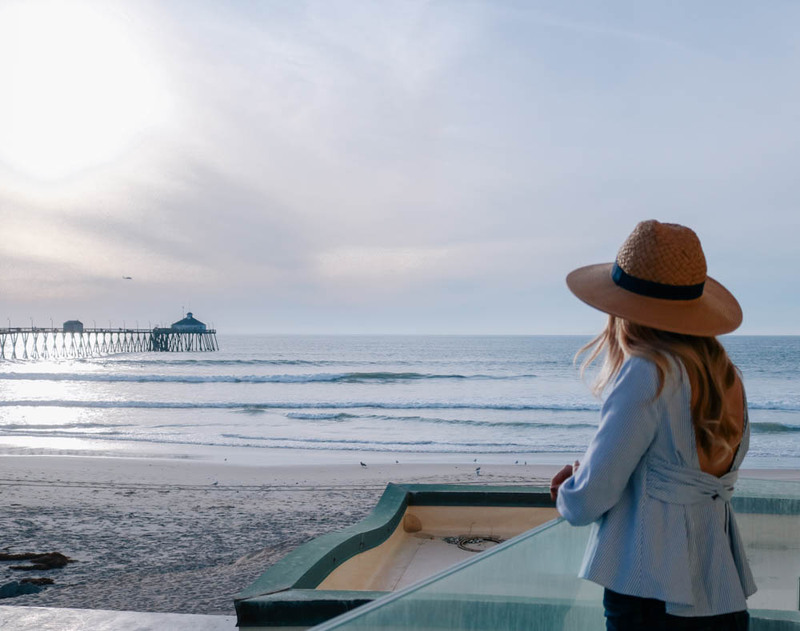 The 78-room Autograph Collection by Marriott hotel sits right on the sands of Imperial Beach and is so close yet feels like worlds away from downtown San Diego. 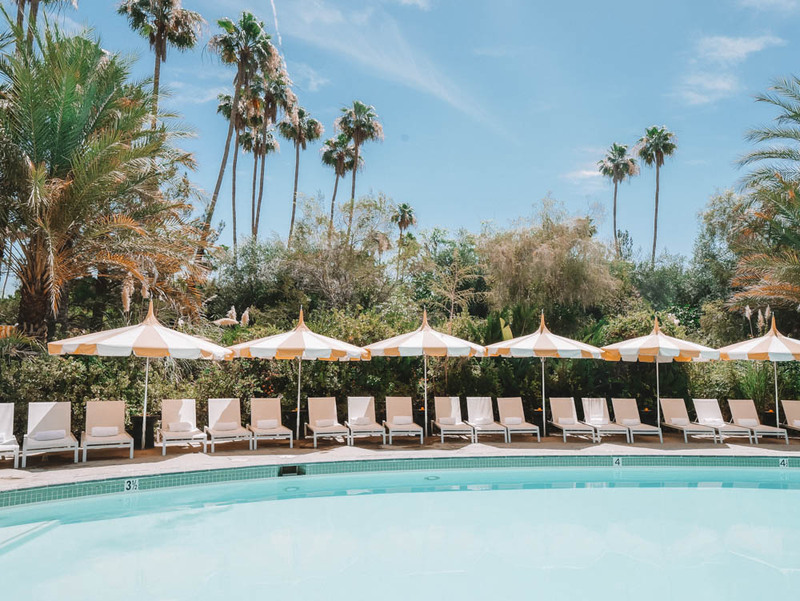 The resort’s wellness focus is right up my alley, offering complimentary fitness classes, activities (paddle boarding, bike riding, and so much more), spa treatments, and healthy dining options. 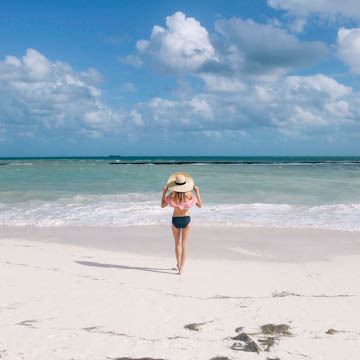 Check out our experience below and let us know when you want to book your next trip to Pier South Resort! You just got to the resort, so head to your room and soak in the oceanfront view! We were greeted with champagne & orange juice (mimosas, anyone?) and fruit that we enjoyed on our balcony. You could see downtown San Diego from our room all the way down to Mexico. 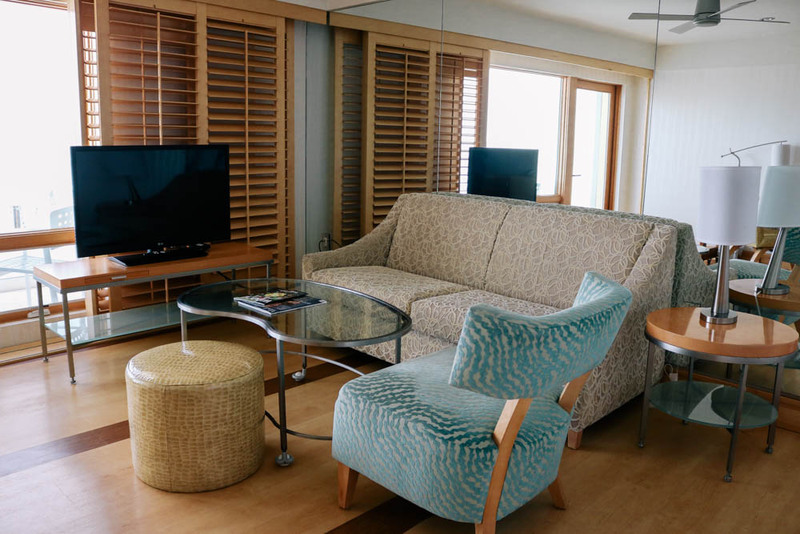 Our oceanfront one bedroom double queen suite was spacious and beachy. I loved the blue decor throughout! 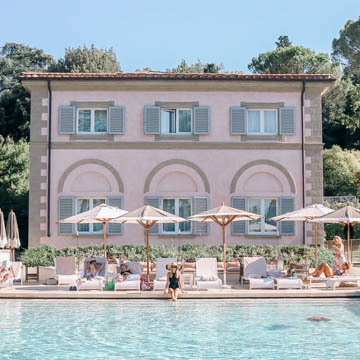 The pool is literally ON the sand, so pool time is a must while staying at Pier South. Mind you, it was January and I still enjoyed it (San Diego, I love you). Warm up in the jacuzzi if that’s more your style and enjoy the same great beachfront ambience. 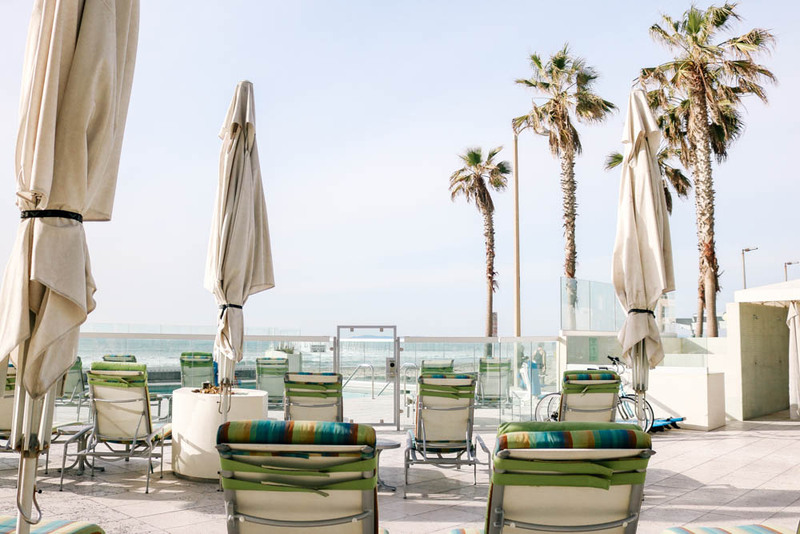 Pier South’s on-property restaurant is Sea180, a Cohn restaurant concept. 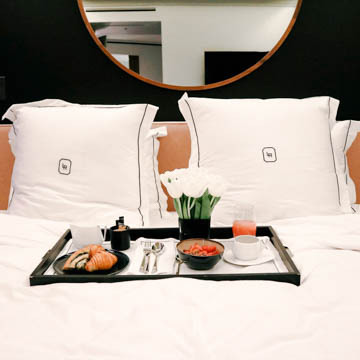 Anyone from San Diego knows the Cohn restaurant group and how incredible the cuisine is, and this restaurant is no exception. 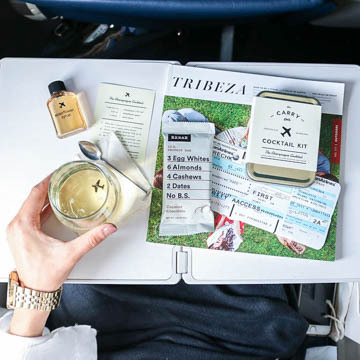 Their happy hour runs daily from 2:30-5pm, and you can kick back, relax, drink, and eat at the window seating located right on the sand. 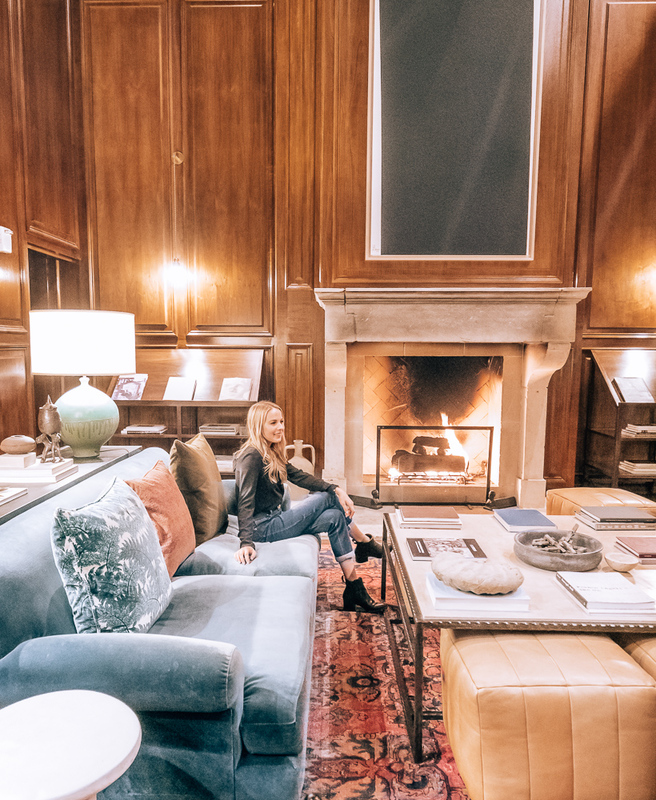 During happy hour you will find everything from house made infusion cocktails, local craft beers, grilled sausage boards, and truffle mac & cheese. This time around we sipped and dined on $6 sangrias, $8 roasted garlic hummus, and the $10 calamari. And yes, it tasted just as good as (if not better than) the presentation looked! More to come regarding Sea180 in a separate post! 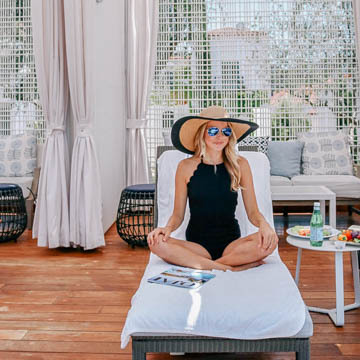 I’m all about the little touches at hotels that make you feel welcome and at home, and Pier South’s daily sunset happy hour on the rooftop does just that. 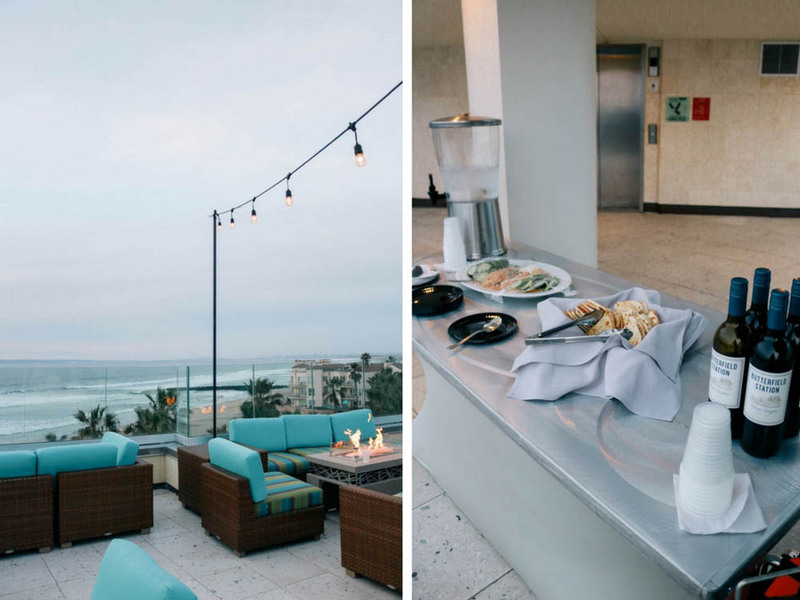 From 4-7pm every day, head to the rooftop on the 5th floor to watch one of the famous San Diego sunsets. Best part? 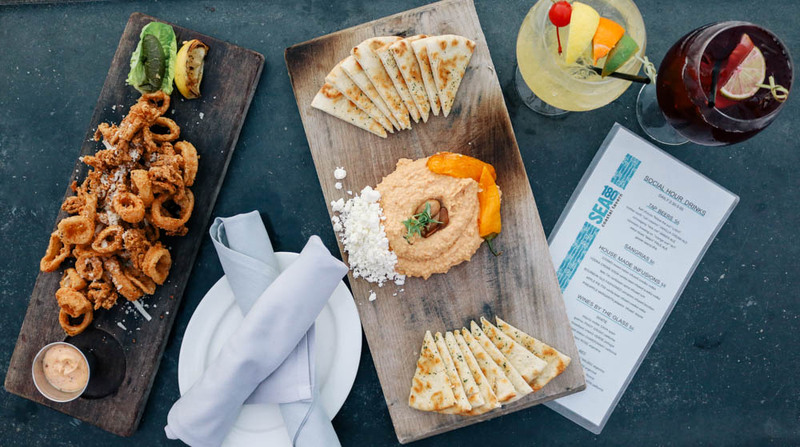 Bites, wine and soft drinks are provided complimentary from Pier South and Sea180! 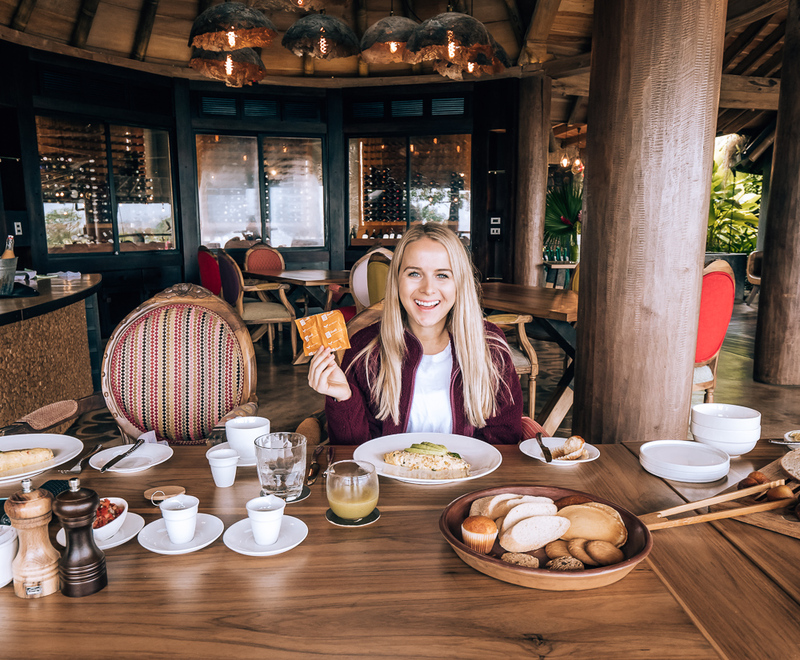 Look for more about my dining experience at Sea180 in my next post, but having dinner at Sea180 is a MUST while staying at Pier South. Just look at those BBQ Shrimp & Grits! End your night with a trip to a local craft brewery, Coronado Brewing Co, located just across the street from Pier South. 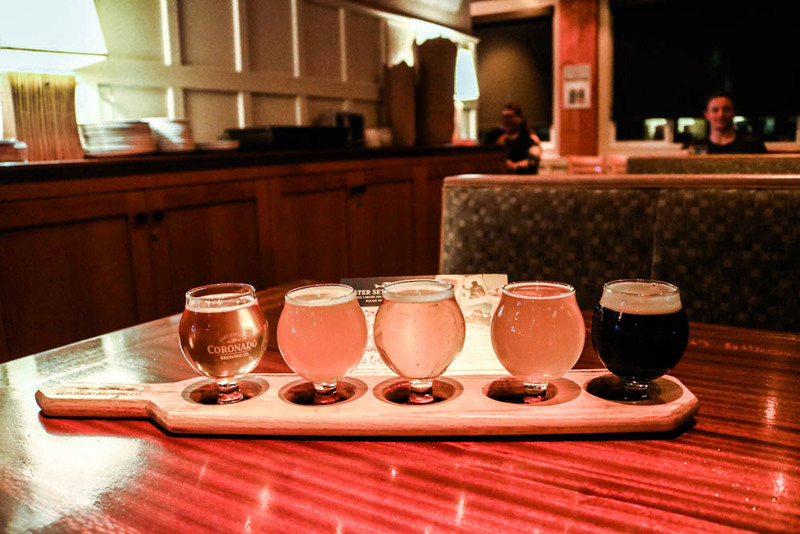 A sampler is the way to go so that you can try many different types of those craft beers San Diego is known for. We tried the Coronado Orange Avenue Wit, 3 IPAs, and a Stout. 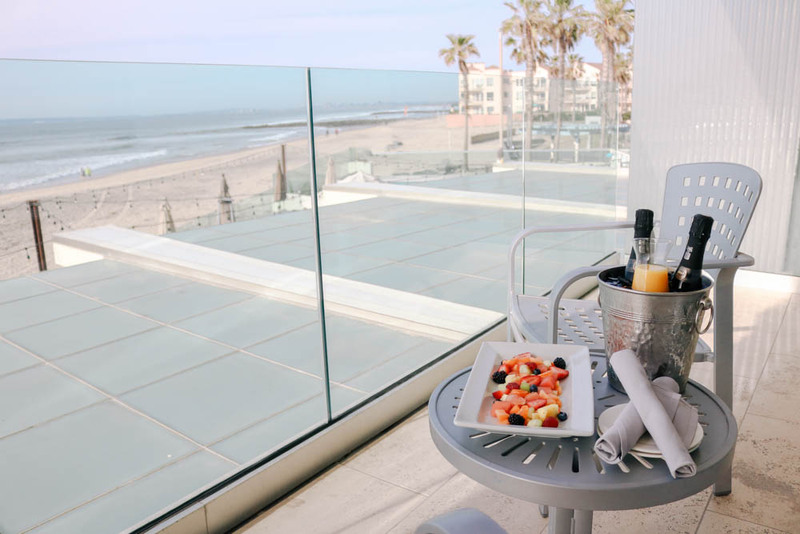 Wake up to that gorgeous ocean view, enjoy some balcony time, and head on outside to breakfast. This breakfast was MADE for me. The healthy options from their Fit & Foundry menu all looked so appetizing I wanted to order them all. 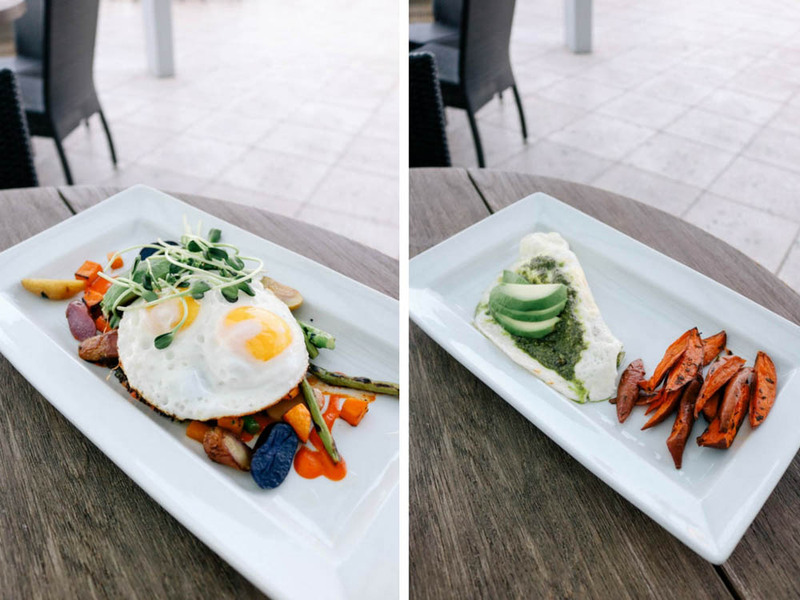 We stuck to ordering a Green Goddess Juice, Breakfast Buddha Bowl, and Egg White Omelet with Mushroom, Asparagus, Goat Cheese, Avocado & Pesto. 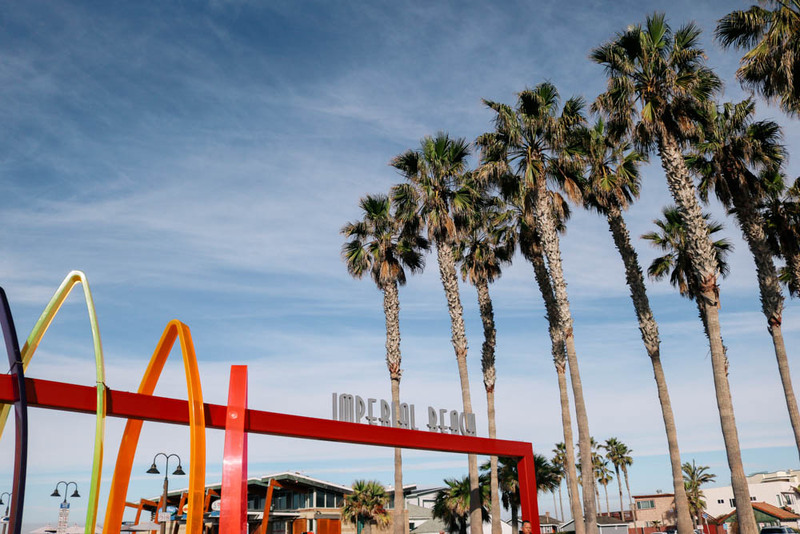 Imperial Beach is so walk-able and with that gorgeous San Diego weather, you would be a fool to not embrace it! We walked the whole stretch of the beach (almost down to Mexico! ), and walked through the neighborhood on the way back. 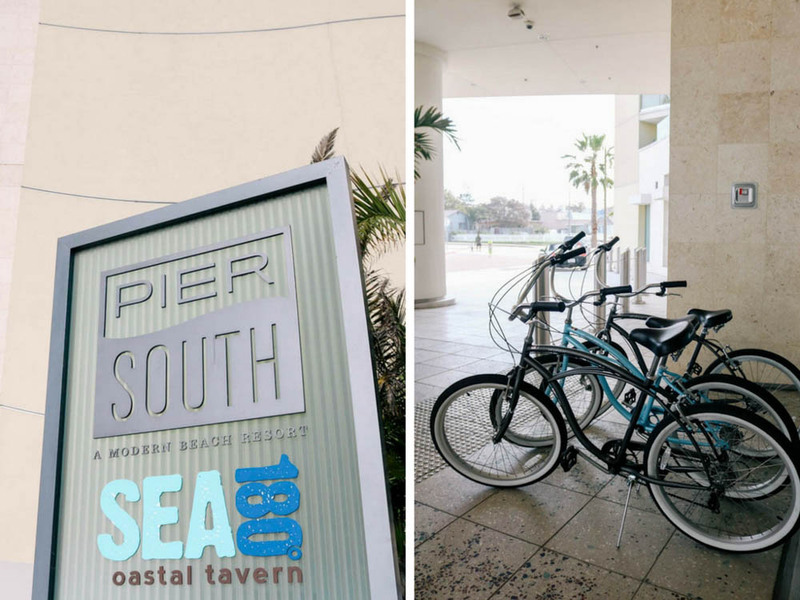 Pier South has complimentary bikes at your disposal to cruise the town as well. Nothing better than ending your mini-vacation with a massage! 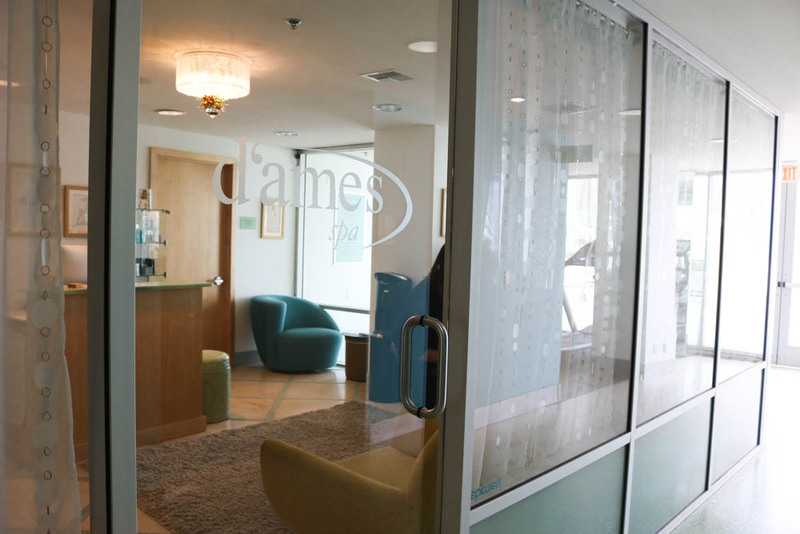 D’ames Spa is located on-site at Pier South Resort and only has three treatment rooms, so make sure to book ahead of time. 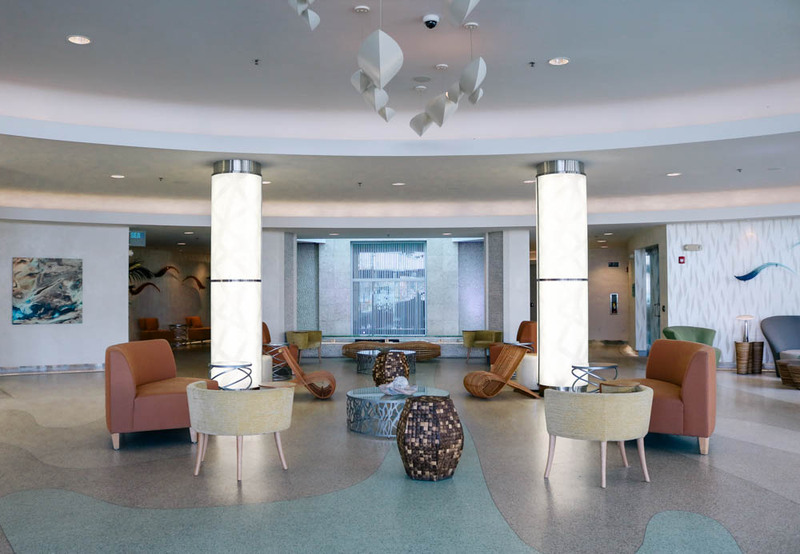 I had the 50-minute D’Ames California Massage which incorporates hot stones in the neck and upper back area (aka heaven). Upon the end of my massage I was offered water, chocolate, and wine. What more could a girl want? 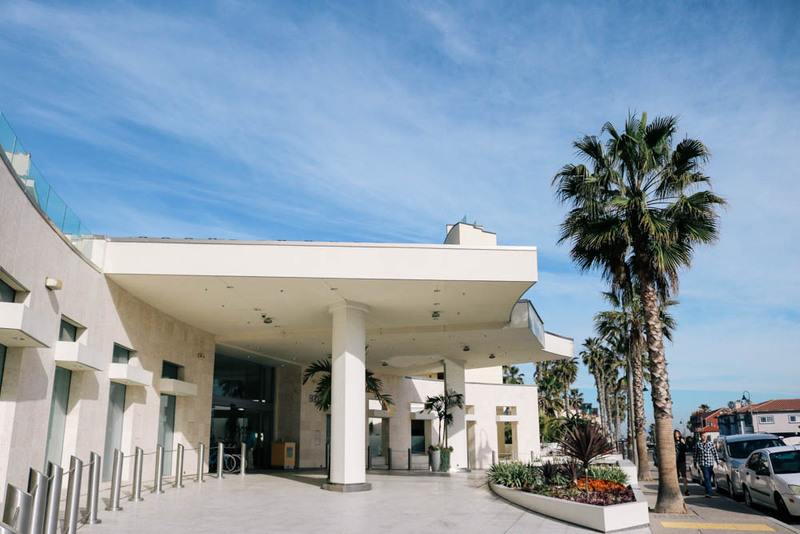 EMAIL CHELSEA@PASSPORTTOFRIDAY.COM TO BOOK YOUR TRIP TO PIER SOUTH TODAY!